Os debates atuais na área da bioética e colaborações transnacionais suscitaram preocupações acerca da aplicação de normas internacionais na condução de investigação clínica em África. Geralmente essas estruturas de avaliação bioética estão ainda incipientes ou frágeis na maioria dos países africanos. 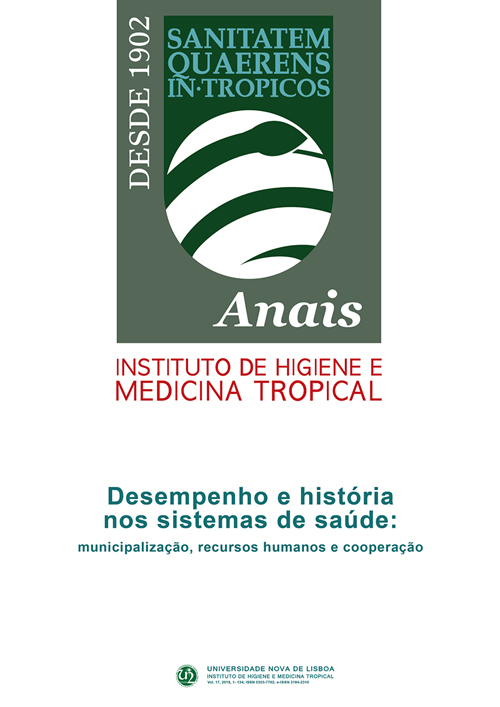 A importância da aplicação de métodos qualitativos na área da investigação médica, tem como objetivo de melhorar e aprofundar o conhecimento da cultura de comunidades locais, e as suas perceções e práticas. Estes métodos facilitam melhoramentos nos protocolos de investigação, e a sua implementação e avaliação, e a adesão a princípios da justiça e equidade social relativo as comunidades sob estudo. Durante as últimas décadas, o papel das ciências sociais na área da saúde ganhou mais visibilidade em países de baixo rendimento, também em África. Investigadores na área de saúde e agências financiadoras que operam nestes países, estão cada vez mais confrontados com a necessidade de avaliar as implicações éticas para os participantes e as comunidades a que pertencem. Este artigo propõe uma revisão bibliográfica dos percursos e constrangimentos no campo da bioética, centrando-se nos desenvolvimentos em África. Sugere um papel maior para métodos qualitativos, e sobretudo etnográficos, para aumentar a capacidade local e nacional, aumentar padrões de referência e promover investigação socialmente e eticamente responsável. Bhutta ZA. Ethics in international health research: a perspective from the developing world. Bull World Health Organ. 2002;80(2):114-20. Molyneux S, Geissler PW. Ethics and the ethnography of medical research in Africa. Soc Sci Med. 2008;67(5):685-95. Benatar SR, Singer PA. A new look at international research ethics. BMJ. 2000;321(7264):824-6. Benatar SR. Reflections and recommendations on research ethics in developing countries. Soc Sci Med. 2002;54(7):1131-41. Ndebele PM, Wassenaar D, Munalula E, Masiye F. Improving understanding of clinical trial procedures among low literacy populations: an intervention within a microbicide trial in Malawi. BMC Med Ethics. 2012;13:29. Weindling P. Human experiments in Nazi Germany: reflections on Ernst Klee’s book “Auschwitz, die NS-Medizin und ihre Opfer” (1997) and film “Arzte ohne Gewissen” (1996). Medizinhist J. 1998;33(2):161-78. White RM. Unraveling the Tuskegee Study of Untreated Syphilis. Arch Intern Med. 2000;160(5):585-98. Caplan AL. Twenty years after. The legacy of the Tuskegee Syphilis Study. When evil intrudes. Hastings Cent Rep. 1992;22(6):29-32. Ernst E, Weindling PJ. The Nuremberg Medical Trial: have we learned the lessons? J Lab Clin Med. 1998;131(2):130-5. Czech H, Druml C, Weindling P. Medical Ethics in the 70 Years after the Nuremberg Code, 1947 to the Present. Wien Klin Wochenschr. 2018. Weindling P. The origins of informed consent: the International Scientific Commission on Medical War Crimes, and the Nuremburg code. Bull Hist Med. 2001;75(1):37-71. Smith MJ, Weinstock D. Political legitimacy and research ethics. Bioethics. 2018. CIOMS. International ethical guidelines for biomedical research involving human subjects, Genebra. 2016. Ndebele P. The Declaration of Helsinki, 50 years later. JAMA. 2013;310(20):2145-6. World Medical Association Declaration of Helsinki: ethical principles for medical reseach involving human subjects. JAMA. 2013;301(20):2911-4. Striefel S. Ethical research issues: going beyond the Declaration of Helsinki. Appl Psychophysiol Biofeedback. 2001;26(1):39-59; discussion 67-71. Carroll TW, Gutmann MP. The limits of autonomy: the Belmont Report and the history of childhood. J Hist Med Allied Sci. 2011;66(1):82-115. Menikoff J, Kaneshiro J, Pritchard I. The Common Rule, Updated. N Engl J Med. 2017;376(7):613-5. NBAC. Ethical and Policy Issues in International Research: Clinical Trials in Developing Countries, Bethesda: National Bioethics Advisory Commission, 2001. Nawrot O. The biogenetical revolution of the Council of Europe - twenty years of the Convention on Human Rights and Biomedicine (Oviedo Convention). Life Sci Soc Policy. 2018;14(1):11. Council for International Organizations of Medical Sciences WHO. International ethical guidelines for medical research, Geneva. 2002. Kass NE, Hyder AA, Ajuwon A, Appiah-Poku J, Barsdorf N, Elsayed DE, et al. The structure and function of research ethics committees in Africa: a case study. PLoS Med. 2007;4(1):e3. Macklin R. Bioethics, vulnerability, and protection. Bioethics. 2003;17(5-6):472-86. Annas GJ, Grodin MA. Human rights and maternal-fetal HIV transmission prevention trials in Africa. Am J Public Health. 1998;88(4):560-3. Lurie P, Wolfe SM. Unethical trials of interventions to reduce perinatal transmission of the human immunodeficiency virus in developing countries. N Engl J Med. 1997;337(12):853-6. Weiss RB, Rifkin RM, Stewart FM, Theriault RL, Williams LA, Herman AA, et al. High-dose chemotherapy for high-risk primary breast cancer: an on-site review of the Bezwoda study. Lancet. 2000;355(9208):999-1003. Cleaton-Jones P. Scientific misconduct in a breast-cancer chemotherapy trial: response of University of the Witwatersrand. Lancet. 2000;355(9208):1011-2. Alirol, E. Kuesel, A.M., Guraiib, M.M. Fuente-Núñez, V. dela, Saxena, A. e Gomes, M.F. Ethics review of studies during public health emergencies - the experience of the WHO ethics review committee during the Ebola virus disease epidemic, BMC Medical Ethics (2017) 18:43. Wall S. Focused Ethnography: a methodological adaptation for social research in emerging contexts. Forum Qualitative Social Research. 2015:16,1. Utarini AWGP. Appraising Studies in Health Using Rapid Assessment Procedures (RAP): Eleven Critical Criteria. Human Organization. 2001;60(4):390-400. Geissler PW, Kelly A, Imoukhuede B, Pool R. ‘He is now like a brother, I can even give him some blood’--relational ethics and material exchanges in a malaria vaccine ‘trial community’ in The Gambia. Soc Sci Med. 2008;67(5):696-707. Caballero B. Ethical issues for collaborative research in developing countries. Am J Clin Nutr. 2002;76(4):717-20. Gikonyo C, Bejon P, Marsh V, Molyneux S. Taking social relationships seriously: lessons learned from the informed consent practices of a vaccine trial on the Kenyan Coast. Soc Sci Med. 2008;67(5):708-20. Molyneux S, Kamuya D, Madiega PA, Chantler T, Angwenyi V, Geissler PW. Field workers at the interface. Dev World Bioeth. 2013;13(1):ii-iv. Marsh V, Kamuya D, Rowa Y, Gikonyo C, Molyneux S. Beginning community engagement at a busy biomedical research programme: experiences from the KEMRI CGMRC-Wellcome Trust Research Programme, Kilifi, Kenya. Soc Sci Med. 2008;67(5):721-33. Kamuya DM, Marsh V, Kombe FK, Geissler PW, Molyneux SC. Engaging communities to strengthen research ethics in low-income settings: selection and perceptions of members of a network of representatives in coastal Kenya. Dev World Bioeth. 2013;13(1):10-20. Kamuya DM, Theobald SJ, Munywoki PK, Koech D, Geissler WP, Molyneux SC. Evolving friendships and shifting ethical dilemmas: fieldworkers’ experiences in a short term community based study in Kenya. Dev World Bioeth. 2013;13(1):1-9. Chantler T, Otewa F, Onyango P, Okoth B, Odhiambo F, Parker M, et al. Ethical challenges that arise at the community interface of health research: village reporters’ experiences in Western Kenya. Dev World Bioeth. 2013;13(1):30-7. Gilson L, McIntyre D. The interface between research and policy: experience from South Africa. Soc Sci Med. 2008;67(5):748-59. Gilson L, Raphaely N. The terrain of health policy analysis in low and middle income countries: a review of published literature 1994-2007. Health Policy Plan. 2008;23(5):294-307. Lairumbi GM, Molyneux S, Snow RW, Marsh K, Peshu N, English M. Promoting the social value of research in Kenya: examining the practical aspects of collaborative partnerships using an ethical framework. Soc Sci Med. 2008;67(5):734-47. Theobald S, Nhlema-Simwaka B. The research, policy and practice interface: reflections on using applied social research to promote equity in health in Malawi. Soc Sci Med. 2008;67(5):760-70. Molyneux S, Tsofa B, Barasa E, Nyikuri MM, Waweru EW, Goodman C, et al. Research Involving Health Providers and Managers: Ethical Issues Faced by Researchers Conducting Diverse Health Policy and Systems Research in Kenya. Dev World Bioeth. 2016;16(3):168-77. Schwalbach J. Bioética nos Países de Lingua Oficial Portuguesa, Justiça e Solidariedade. 2014. Contract No. : 18. Sacarlal J, Muchanga V, Mabutana C, Mabui M, Mariamo A, Cuamba AJ, et al. Research ethics review at University Eduardo Mondlane (UEM)/Maputo Central Hospital, Mozambique (2013-2016): a descriptive analysis of the start-up of a new research ethics committee (REC). BMC Med Ethics. 2018;19(1):37. Schwalbach J. Fortalecimento dos Comités de Bioética nos Países Africanos de Língua Portuguesa. An Inst Hig Med Trop. 2017;16(2):105-7.